Virtual assistants often play an important part in the success of business owners. VAs, as they are more commonly known, handle various administrative, technical, and creative tasks that help business owners focus on what they do best. Among the tasks they do include organizing schedules, social media management, content creation, and even bookkeeping. Being a virtual assistant requires outstanding skills and personal organization. You have to manage your time, possess excellent skill sets, and have the ability to communicate clearly to produce excellent work. Althea Sagayno has been helping her clients run their businesses for years. With her great VA skills, she makes sure that her clients’ companies are on the right track. She also manages a team of virtual assistants and helps them hone their skills by sharing her knowledge and experiences. She runs Pinoy Homebased Mastermind as well, a Facebook group dedicated to helping Filipino freelancers. There she patiently answers freelancing related concerns while lifting everyone’s mood with her enthusiasm. 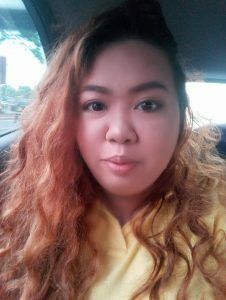 Check out our interview with the alpha virtual assistant, Althea Sagayno. I am an executive virtual assistant and handle and manage a team of virtual assistants as well. Right now, I am creating a course for aspiring VAs. For my clients, I act as a support for their organization by taking care of the things they need to get out of the way so they can focus doing their strengths and take their businesses to the next level. But I must say that I have been focusing more on my VA team lately, and I only have a handful of clients I work with. I decided to be a freelancer at first because I saw the perks: working online, having control over your work and time and the eventual earning more than I did before. I later realized what freelancing is along with its challenges and I loved it even more. Before I found out about it, I had plans to climb the corporate ladder one day and make a difference. When I first ventured in freelancing, I intended it to be my side hustle while I continue my plans, but I fell in love with it and never looked back. Cheesy, but true. I’d have to say it’s not about an aspect of freelancing that I love but what it is for people who are freelancers. Freelancing is made up of several different moving parts, and you can design it however you like. Two people can be both freelancers but are 100% different in what they do, how they do it and the impact they make. Very vague, maybe. But for me, that is freelancing. It is what you make it, if you work hard and hone your skills it will show in all aspects of your freelancing career – your reputation, your network, your friends, what you do, what you say, what you give out to the world and even how much you take home. If you don’t take freelancing seriously, it won’t take you seriously too. It’s so pliable and transparent. That’s what I love about it. The biggest challenge was realizing that the mindset I had was limiting my potential and how I slowly shifted from that mindset. From an early age we are all taught and made to be “workers, ” and so we all have that “workers” mentality. A worker’s or employee mentality is something that’s been instilled in us. That we work for a paycheck and our hours or the service we give is commensurate to the pay that we get. You want more? Do more. That’s all you can do. Though I still believe in working hard, I also think that we have to break free from thinking like an employee and start thinking like a business. Employees won’t give more than they are required and so they rarely make a difference. They just do what is expected, and so they won’t get rewarded. They will get paid but not rewarded. Shifting to a business mindset you start to think of the people around you, the things you do and its effect on your work, the people you work with, your clients or customers. You start to see the value of what you do and not the hours of when you are doing it. Imagine being paid to create a marketing campaign for a week, being paid for the hours you’re working on it, and when it runs and makes a lot of money for the client, he’s happy. If he didn’t, well – that’s that. That’s it. That’s an employee mindset. They won’t care, they will be paid for the hours they work on it and not on its result or effects. A different freelancer who thinks like a business would care more, do more and be more. They would anticipate possible challenges, address them or be ready for them, craft a campaign with one thing on mind: its goal. Is it conversion? Is it sales? Though they can also be paid for the hours they put it, they know the real value of it and will switch to look at the results and its value to the business and be paid for that value, not just hours put in. You’d think that means they just want to get paid more. Even though there is truth on that, there is also the fact that these people will work to get results, will work efficiently and care more about how it’s going to affect the business than someone who just wants to log hours as much as they can. In the end, it’s a win-win scenario. I did not even know I still had the employee mindset even in the second year of my freelance career and when it hit me, I looked at how I made decisions thinking I was already free of that employee mindset but ended up getting more and more buried in it. It took a lot of research, self-analysis, and acceptance even to start heading in the direction away from it. I’d have to say that is: I genuinely like helping people. It comes naturally to me. And so as a freelancer and virtual assistant I became efficient in helping my clients in the projects they want me to handle and finish. With my eagerness to help I started honing and adding skills, learning new things to add to my arsenal so I can perform well. The employee mindset. Some people still think like an employee. They are employees who work online. In the end, still employees. If we all start to think like a business, we’ll we how much we are undervaluing ourselves concerning charging for our services. In turn, by collectively knowing that we are more than the hours we put in, new players (newbie freelancers) don’t have to struggle with dealing with clients who intend to get them cheap. We can resolve this by banding together, by thinking that the other Filipino freelancer is not a competition, but a person to learn from. There is so much work out there that there is not enough for all of us. In the US alone, the number of small to medium type of businesses that need to outsource their processes is more than enough. The challenge is getting to them. Because only a handful are reaching out to us because we are a cheap destination. The majority who will pay good money for good service would go for someone local not because they are racists but because they have this business mindset that you get what you pay for. So they’d steer away from cheap rates. Don’t look at your fellow Filipino like they will steal your milk. If we all lift each other up, learn from each other, impart knowledge then we can all be seen as the quality workforce that we really are. Filipino freelancers already got one thing down in my list of what it takes to be a great freelancer: Caring. Still cheesy? But I do think that what makes someone great is their ability to care. If you care for your client and their business – you work properly, efficiently, you focus on quality. In turn, the business rewards you. Never stop. The only time you fail is when you quit. Don’t stop learning. Read, read, read, and read some more. Then do. I am a strong believer of doing. What I hate the most is inaction. After reading, explore, execute and see what happened, then examine the results. Find out what went wrong, what went well. Learn from the wrong things (back to reading) and capitalize on the good. Don’t wait for things to happen to you. Go and happen to things! And if you’re struggling, that’s good! Nothing worth having is easy. You can visit Althea’s website or connect with her on LinkedIn. You can also shoot her an email at altheasagayno2188@gmail.com. Great and insightful interview. Can I reshare? Hi Vito, we’re glad that it helped you. Yes, feel free to share.